Dr. Daniel Hyun, BSc. DDS. Dr. Daniel Hyun is a University of Toronto, Faculty of Dentistry 2010 graduate. He strongly believes that your oral health is of critical importance to your overall health. It is widely accepted that problems in your mouth can affect the rest of your body. Research has shown that high levels of oral bacteria might lead to oral infections, such as tooth decay and gum disease. Dr. Hyun’s ultimate goal of improving a patients’ oral and overall health has led to intensive postgraduate training. He has worked alongside a periodontist for 4 years, and has completed surgical training at The Perio Institute. In 2012 he finished his surgical dental implant training at the TIDE institute and the following year completed and advanced dental implant course at Hiossen Implant Canada. This post-graduate training allows him to perform periodontal surgery, gum grafts, tongue and lip-tie surgery, crown lengthening, gingivectomies and implant surgery to name a few. Dr. Daniel Hyun is able to complete all aspects of implant dentistry in-house to ensure the functional and aesthetic expectations of his patients are met or surpassed. A complete, one-stop, dentistry experience for Mississauga and Oakville residents. Dr. Daniel Hyun oversees all aspects of your dental treatment, from start to finish. You will not be referred out to a specialist, unless it is absolutely necessary. 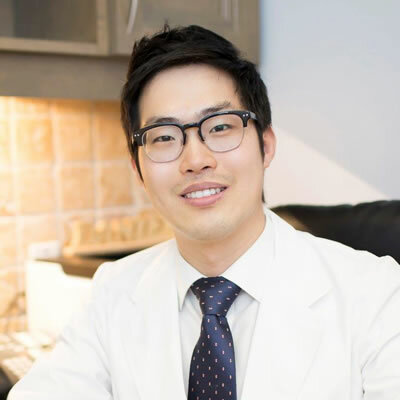 In 2014, Dr. Hyun completed his orthodontic training with Rondeau Seminars which was followed by courses in FastBraces and Invisalign Clear Aligners to better service the needs of his patients. Most recently he is undertaking training in snoring, sleep apnea and TMJ Therapy to address the total wellbeing of his patients. He is committed to continuing professional development to deliver quality dentistry at all times.